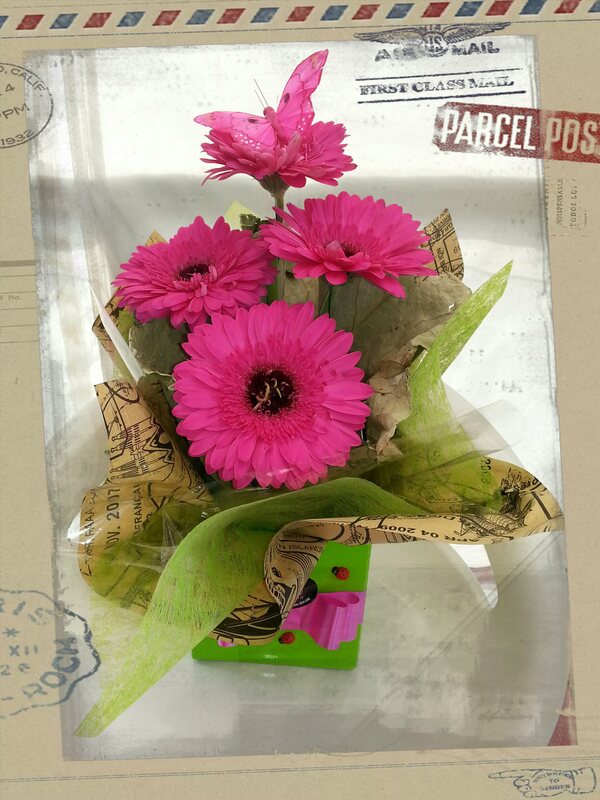 This arrangement of 4 pink Gerberas is creatively displayed in a white box, finished with lotus leaf and Paris paper. This arrangement also features a keepsake butterfly. When ordering please place type your card message in the "Customer Notes" Section a well as any other relevant delivery instructions.